Great place to livesubmitted by Stephanie M. - Feb 22, 2019 |Recommended: YesI never have trouble finding parking near my door. There is some noise from neighbors using the exterior door and on the stairs. You can also hear some noise through the walls or floors, but for the most part, my neighbors are considerate of others. The property is nicely maintained. I have not had the chance to use the pool since I moved in October, but look forward to using it in the summer. Maintenance responds quickly and the office staff is super friendly and helpful. Living at laurel Greensubmitted by Sharon T. - Feb 02, 2019 |Recommended: YesI really love living here- it feels more like a home than an apartment rental. The units are the most spacious compared to other apartments in the area. I would consider updating the decor of the clubhouse. 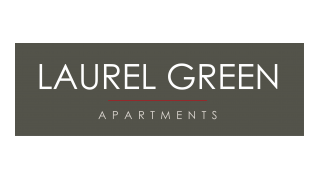 Recommending And commending Laurel Green apartments and their staffsubmitted by Lynn G. - Sep 24, 2018 |Recommended: YesWe have been living at Laurel Green Apartmemts for a few years now and have been very happy here. Cassie and Briana go out of their way to accommodate everyone's questions issues etc. they are friendly and very professional. We are going to miss Laurel Green when our home is finished being built. We will especially miss the girls mentioned above. Laurel Greensubmitted by Kareem S. - Aug 04, 2018 |Recommended: YesLaurel Green has a great staff and maintenance team. The apartment complex is close to a lot of different businesses. Love itsubmitted by Elaine - Jul 28, 2018 |Recommended: YesI truly love Laurel Green Have to learn to downsize,, going from a house to a 1 bedroom apt, but am in love with my little apt. Office staff are amazing, maintenance is great Only complaints that I have are parking, which can be a challenge at times, when you work second shift. The only other thing is that a area of my flooring is buckled, and was told that the problem was structural and nothing could be done about it. Beautiful complex, amazing staff, and I feel completely safe here. Oh, I am in love with my kitchen, especially the granite countertops Definitely would recommend Laurel Green as a awesome to call home. Always in good shapesubmitted by Jerrid M. - Jun 18, 2018 |Recommended: YesIts nice. Peace and Hapinesssubmitted by Iynez M. - Jun 05, 2018 |Recommended: YesGreat place to live, calm quiet neighborhood. Neighbors are friendly and never had a problem. Spacious Rooms, island kitchen, hardwood and anything singles or couples could possibly want to have in a luxury home. Peace and happiness since day 1.